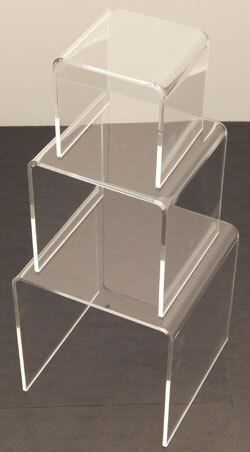 This acrylic paperweight easel provides display support for any lightweight item. Tilted angle offers premium display view. Unibody design increases stability. Clear acrylic construction gives a clean and professional look. Front lip helps to hold items in place. This paperweight stand is 2"h.